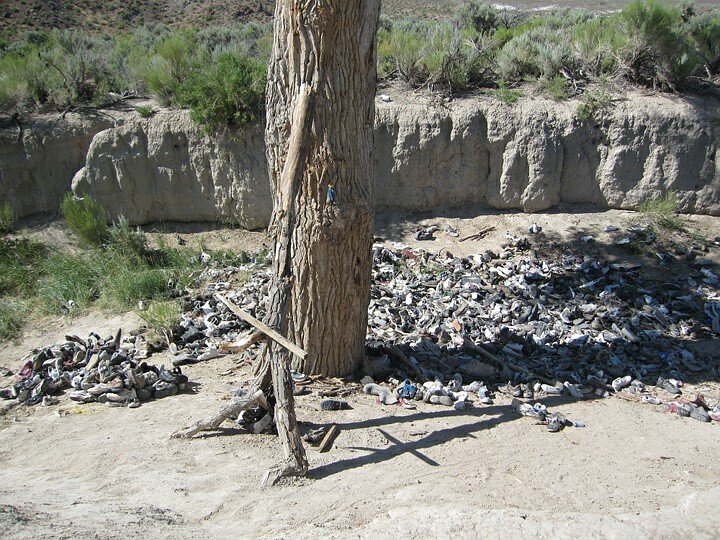 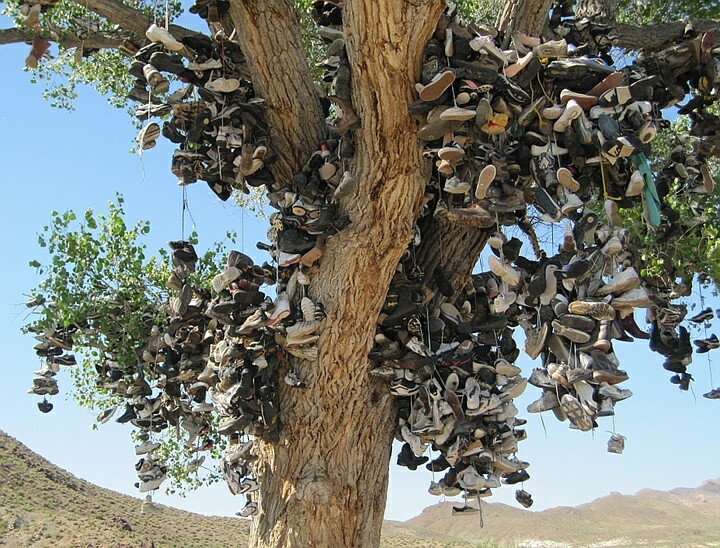 This tree was located on U.S. Highway 50 east of Fallon, Nevada. 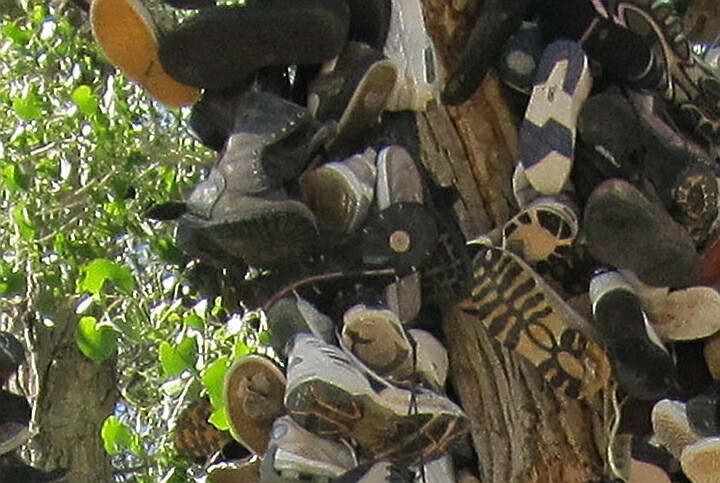 day not far from the location of the original tree. 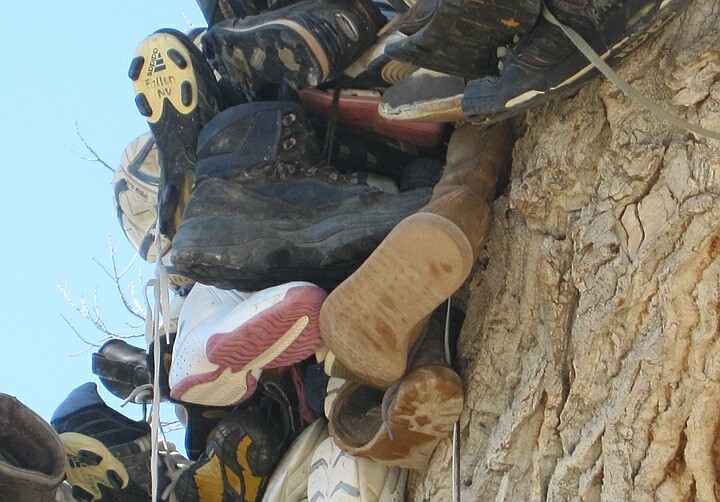 The tree was covered with boots and shoes. 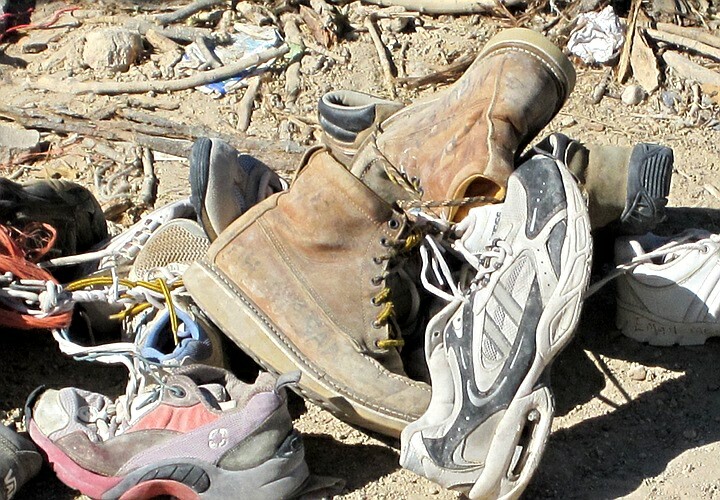 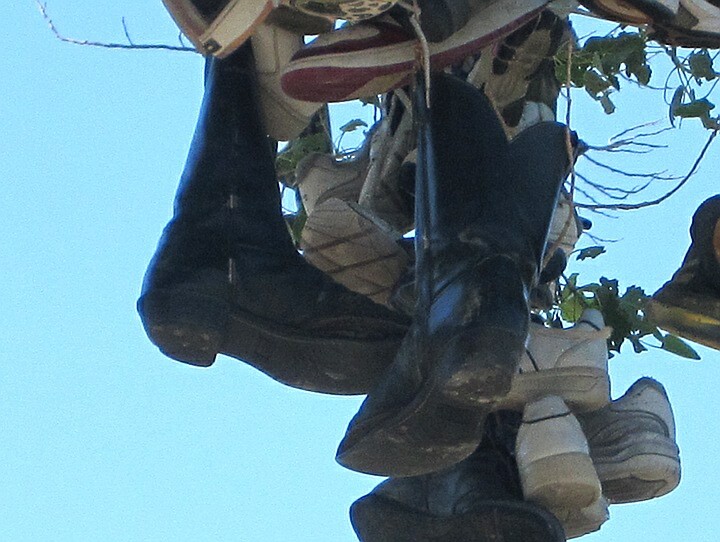 look closely, you'll find several pair of boots in the mix. 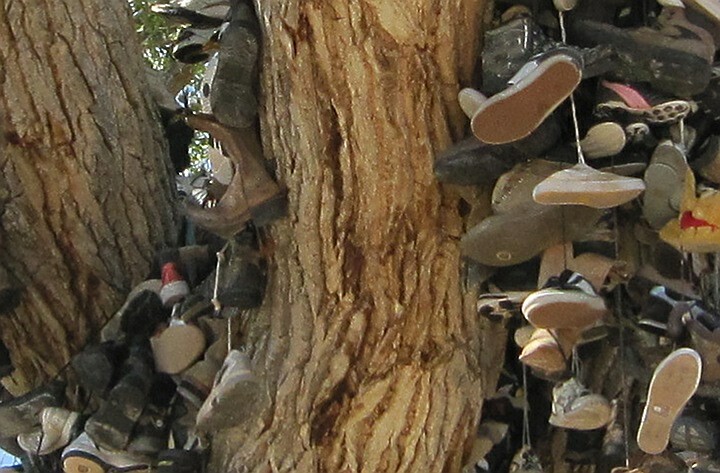 Like the fallen leaves of Autumn, there are boots and shoes under the tree, too. 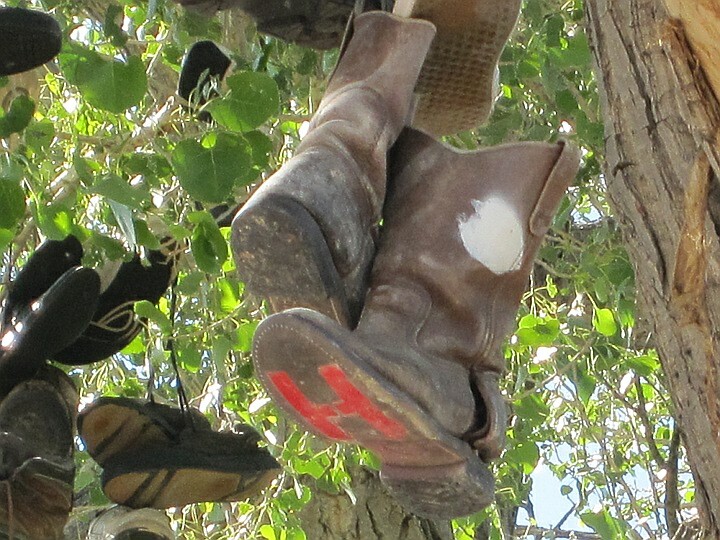 Here are some of the boots spotted on the tree or on the ground below. 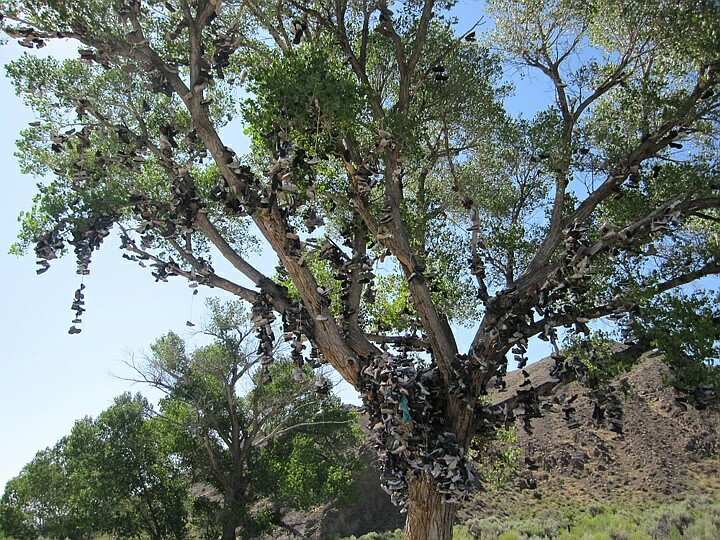 Check out the tree the next time you travel on U.S. 50. 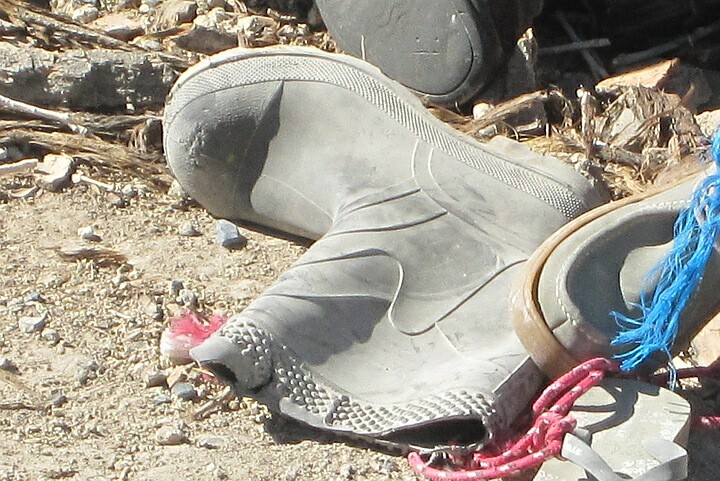 Fallon, next to a dusty pulloff on the north side of the highway.